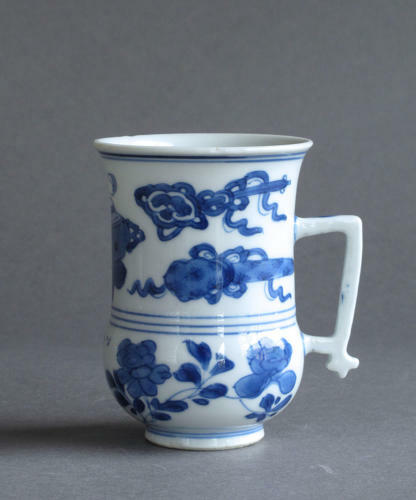 This shape of mug, with the rounded lower section, is sometimes referred to as a cappuchine. Condition: this mug is in excellent, undamaged condition. The small uneven area which can be seen at the rim is not a chip - it is under the glaze and was introduced during manufacture.